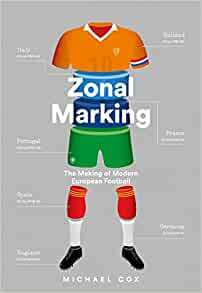 Pre-order Zonal Marking: The Making of Modern European Football for your Kindle today. Michael Cox is the author of The Mixer. A football writer for the Guardian and ESPN, he is also the co-founder of the Zonal Marking website. He lives in south London and is a season-ticket holder at seventh-tier Kingstonian FC. Zonal Marking is his second book.